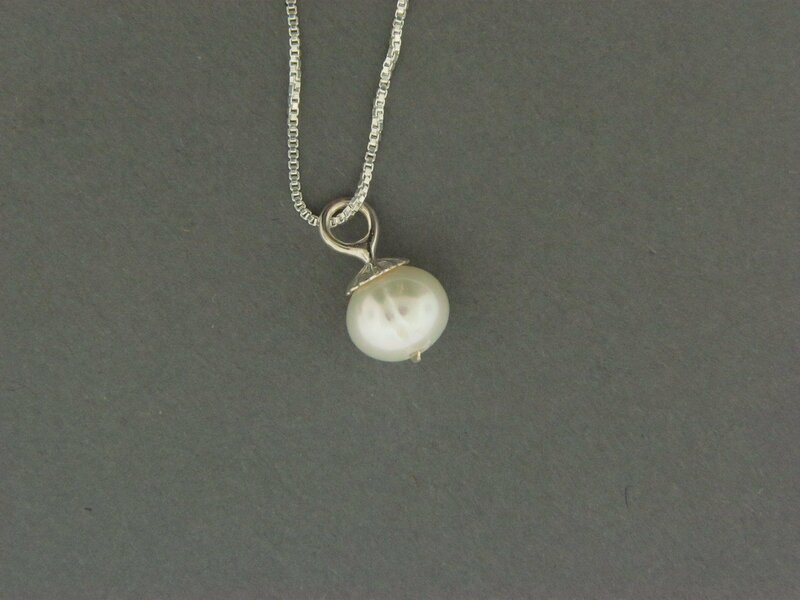 Handcrafted sterling silver .925 simple but elegant fresh water pearl necklace. This is a great gift, for wedding parties, graduation or any occasion or just a little something for yourself. Available in different chain lengths.